The Motability Scheme has been designed to help drivers with disabilities, members of the Armed Forces and war pensioners lease a brand new car without the worry that comes with owning or running one. Toyota has worked closely with the government-funded Motability Scheme, keeping drivers mobile since 1977 - Finding the perfect Toyota to suit your needs is both simple and affordable! Currently, over 600,000 disabled people and their families are benefiting from the freedom and independence the Scheme provides nationwide. At Steven Eagell Toyota, we are proud to be a member of Toyota's Motability Dealer Partnership and always have Motability specialists on hand to help those eligible find the vehicle that's right for them. Your road to worry free motoring starts here. Those eligible for Motability can exchange part or all of their allowance for a Toyota Motability vehicle under Contract Hire or a Hire Purchase lease. Contract Hire is the most popular option and includes coverage of service, maintenance and repair costs for the next three years. Non-drivers and parents of children from three years old can also apply for a new or used Toyota Motability car and nominate up to two people to drive for them. Vehicle adaptations are also available, many at no additional cost, and can greatly help with access, including equipment loading and driving. All Toyota Centres are reviewed regularly to ensure we meet the Motability Scheme's strict standards. Our experienced Motability specialists will be happy to discuss your unique requirements, give you advice on finance options, and help you complete the paperwork. You can use this eligibility checker to find out whether you qualify for the Motability scheme. 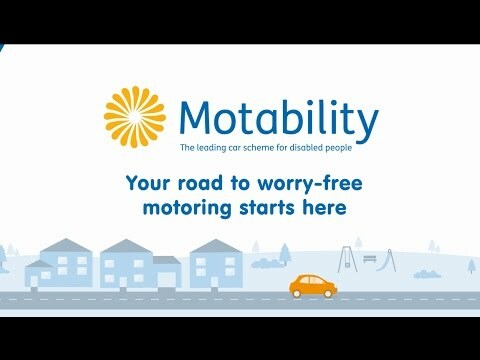 What does the Motability Scheme include? Which Toyota models are available on Motability? The full range of Toyota cars can be leased under the scheme, many of which are available with no advance payment. These include the Aygo, Yaris, Auris, Verso and RAV4. We understand that not all our Motability customers have the same requirements, which is why we offer a range of vehicle adaptations to aid with accessibility. Whether you're looking for a family car or a stylish city car, you're sure to find the one that suits your needs. See the full range here.